October 27, 2018 Long overdue, classmate John Roeslein was inducted into St Mary's Hall of Fame. 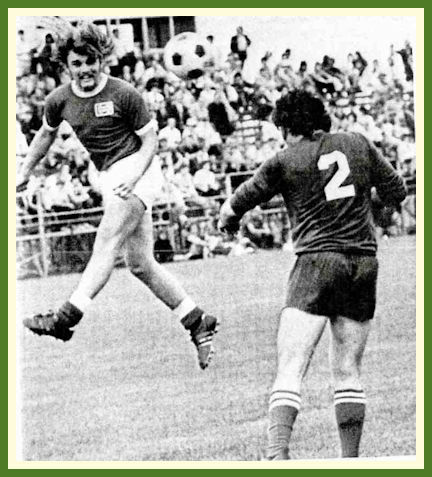 John played varsity soccer all 4-years at St Mary's and was a big part of the 1970 Missouri State Champion Team. 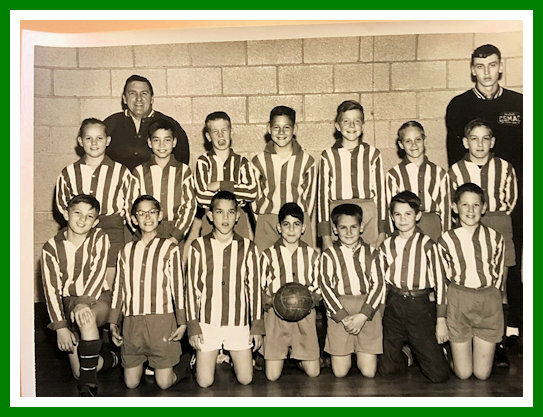 It was John who recruited classmate and now fellow SM HOF memeber Frank Flesch to play Dragon Soccer. John is also a member of the St Louis Soccer Hall of Fame. Tom Fitzsimmons provided the above photo in which he is pictured as well as John Roeslein. Tom and John are at opposite ends of the kneeling row. One or two other dragons are in this photo. The boy in the second row making the silly face is John Heet. Dennis Rhode is standing behind Tom. There may be other dragons I don't recognize. Also if you have any photos to help commorate John Roeslein's induction, please send them so they can be posted here. 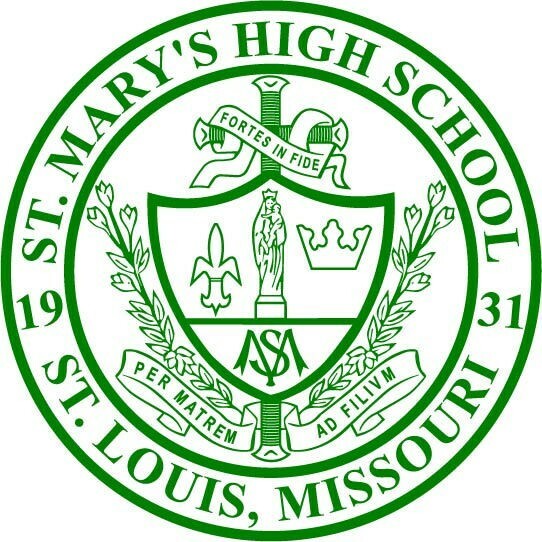 St. Mary's High School Alumni Association. Chicago Coatians for the Midwest Open Cup Title. 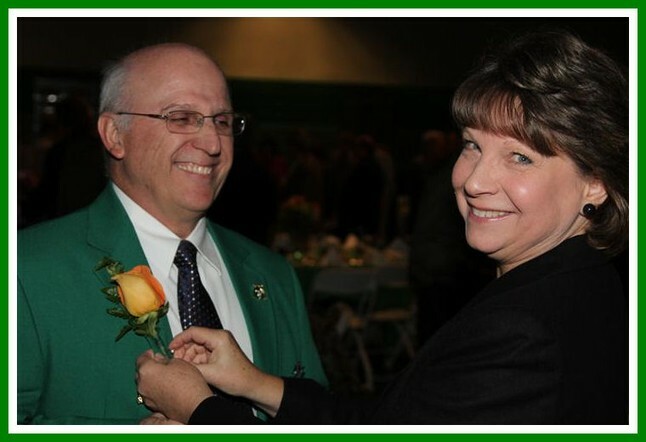 At a sold out banquet on November 17, 2012 over 400 were present in St. Mary's Gym to honor all 2012 inductees along with Frank Flesch as they entered St. Mary's Hall of Fame. Many of us remember Frank as the always smiling, wise-cracking guy wearing the big St Mary's letter sweater. 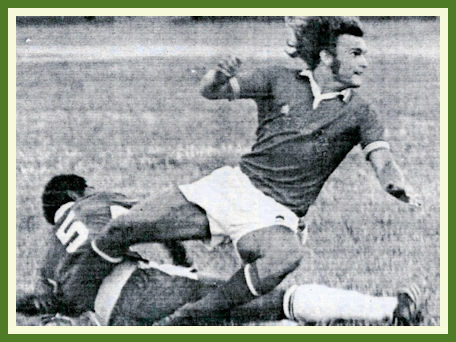 We may even reacall he was a key member of the 1970 State Champion Soccer team. We may not be familiar with all of his athletic and other activities. On this page we honor Frank's accomplishments that gained him entry into St Mary's Hall of Fame. 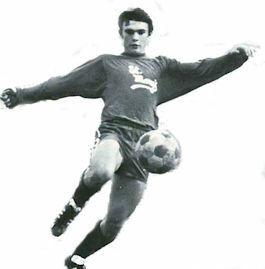 Frank didn't play soccer at SM until his junior year. Frank was recruited by John Roeslein '71 to play on what was to be the 1970 Missouri State Championship team. Frank's chosen sport was baseball. As a freshman at St Mary's it was Frank's great speed that got him cut from the team...Coach Newhouse wanted him for track! Frank lettered 3-years as a Varsity Band flute player! Both Frank's sons; Tom and Frank II were on St Mary's championship athletic teams. 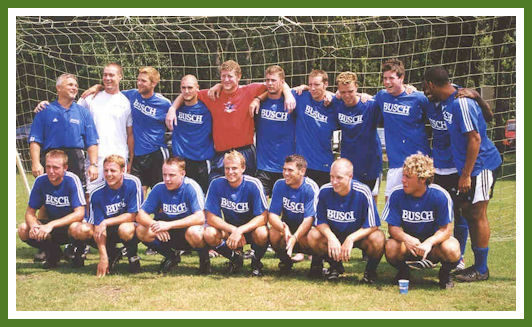 Frank II played on the 2000 State Champion soccer team. Tom played on the 2002 State Champion runner-up baseball team. Fall 1969, playing B-team football at SM wearing number 41 (soon to be Tom Garavaglia's number) Frank, channeling Mike Summers '68, was called up to play varsity football for the final two games of the season. Frank played C-team basketball. Always displaying good sportsmanship, Frank never once slam-dunked the ball. The following was submitted 12-2-2011 on Frank's behalf to St. Mary's Hall of Fame Committee. Again, thanks for doing such a nice job last night at the SM Alumni Christmas Party. Happy to learn we agree Frank Flesch should be inducted as an individual athlete into St Mary's Hall of fame. Being classmates of Frank's we witnessed first hand his athletic abilities while at St Mary's. At every match all of us were thrilled watching his skill and agility on the soccer field. 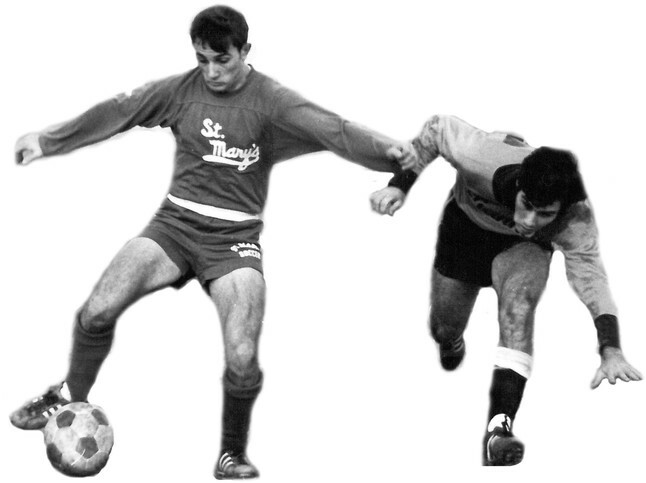 What made it more exciting was, with Frank's explosive speed and power, he played like a man twice his size. Being the consummate nice-guy, Frank transcended clicks and petty squabbles that often occur in high school and was truly liked and respected by every teacher, coach and member of our class. 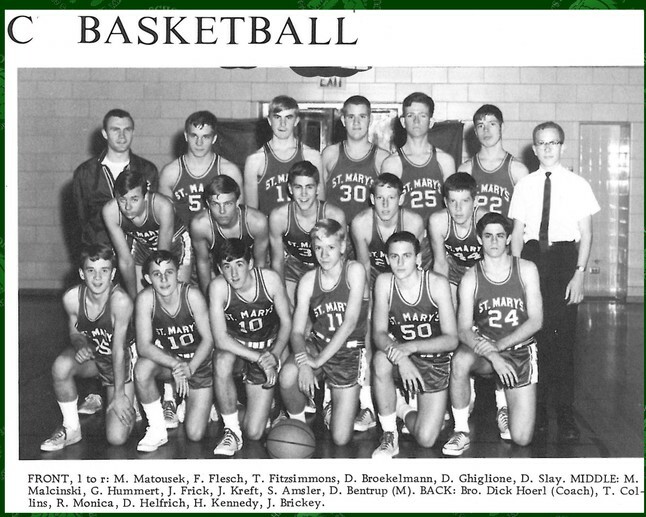 As his classmates and friends, we are honored nominate Frank Flesch for the St Mary's Hall of Fame. Attached is the dossier as promised. If you need additional information please let us know. In the second year since the inception of the St Mary's Hall of Fame the 7-1-2 1971 Football Team was inducted.